Atapa's innovation launch simulation software helps company directors, marketers and media planners understand the possibilities for getting the best return from their investment in innovation. It looks at all the key factors that contribute to sales of a new product or service and increases the probability of successful product launches. The interplay and effectiveness of different media channels over time can be difficult to understand with traditional approaches such as regression analysis. Atapa® uses Agent-Based Modelling to solve this problem. 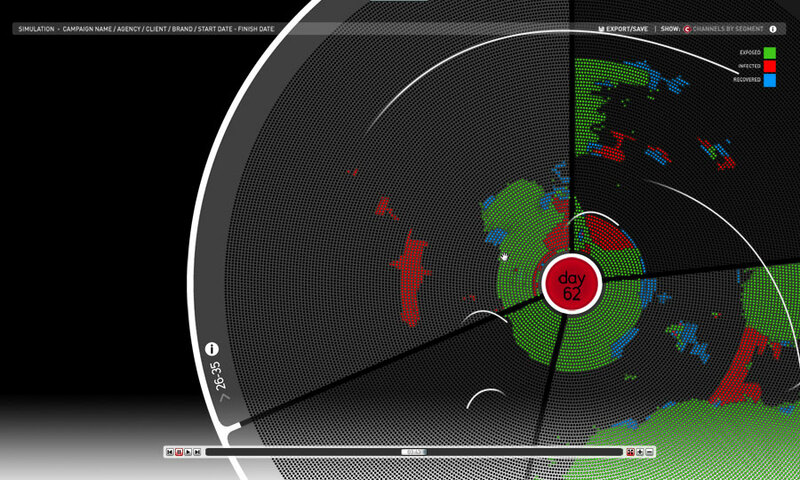 It simulates every day of the campaign at the level of the consumer before presenting its results. 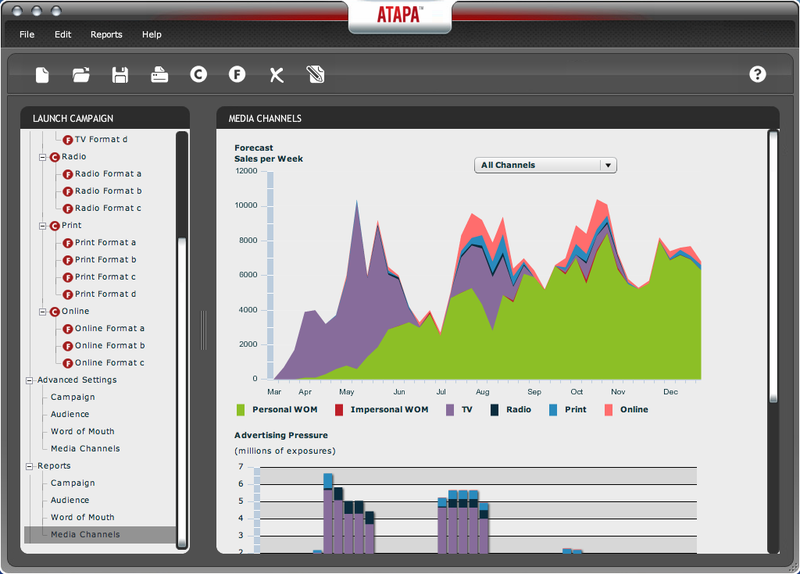 Atapa® uses a virus infection framework to model the linear and non-linear effects of paid communications and word of mouth (WOM). Individual agents/consumers are described as Susceptible, Exposed, Infected, or Recovered (or S.E.I.R.) in the context of the advertising campaign and their behavioural responses simulated. This provides the foundation of a unified metric and, importantly, what-if scenario prediction. With a clear view of the interacting sales effects of paid and un-paid media in your campaigns, diminishing returns analysis and the ability to test what-if scenarios, the optimal media mix and spend can be determined. Atapa® is transparent, increases the likelihood of successful innovation and reduces the cost of customer acquisition and retention. ATAPA was eye opening and exposed us to a different way of thinking media attribution.